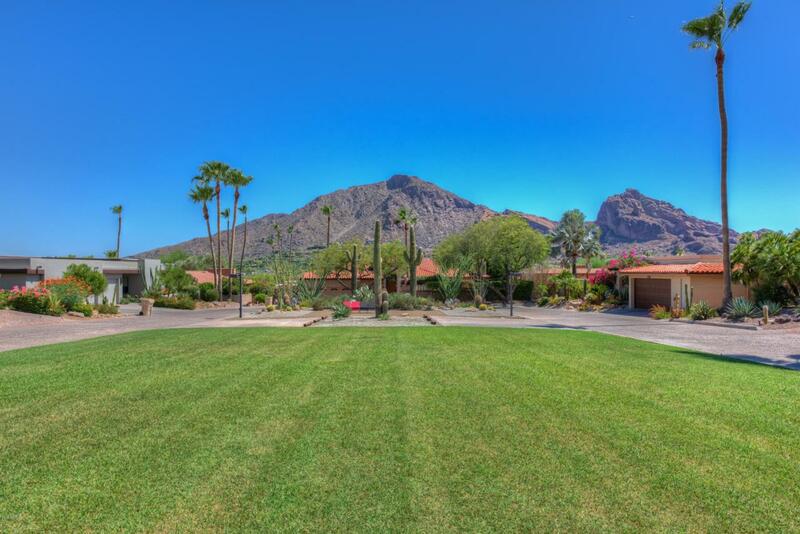 Paradise Valley's Premier 24/7 Guard Gated Community. ''Colonia Miramonte''. 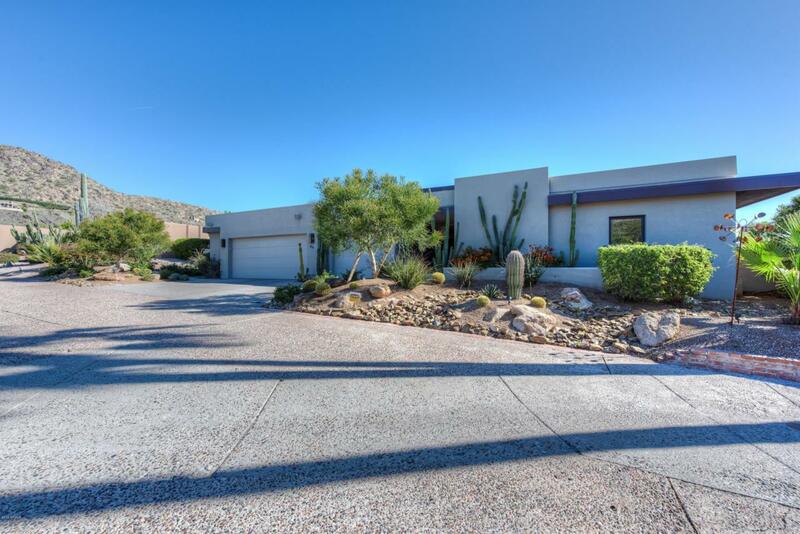 This amazing Contemporary home has views of both Camelback and Mummy Mountain and is approx. 3,250 sq. ft. with 2 bedroom, 2 baths in the main home and 1 bedroom, 1 bath plus full office space in separate Guest Casita. Interior features include: Open floor plan with soaring ceilings, custom cabinetry, quartz counters, porcelain tile flooring T/O. Over sized windows that capture the mountain views and allow for natural lighting. Ext. 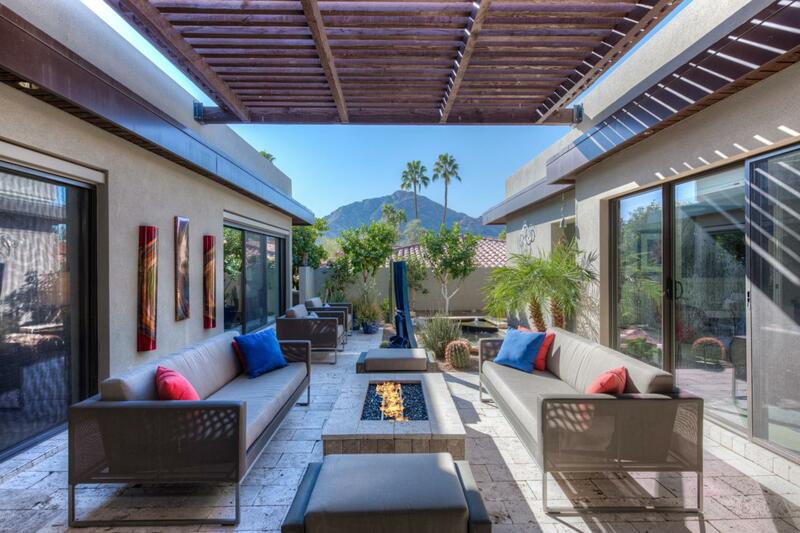 features include: Pool, fire pits, outdoor kitchen, and many intimate spaces. 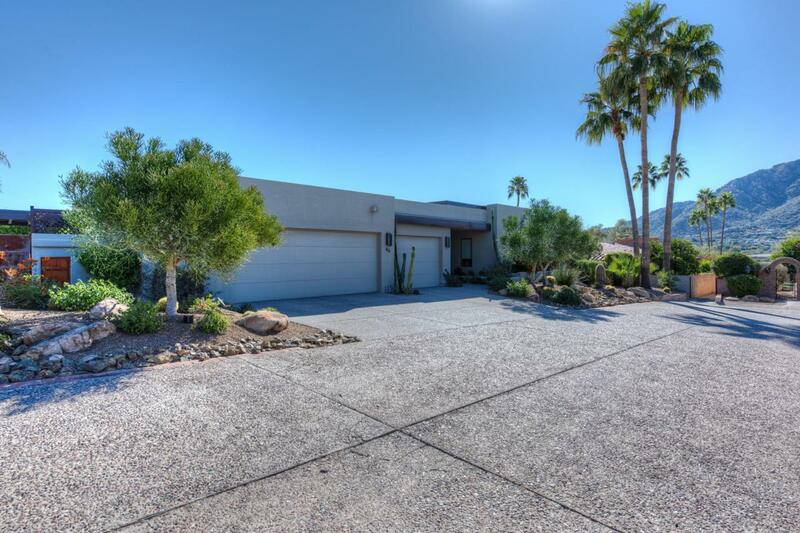 Only 4 other homes in community have a 3 car garage. Room service from Lincoln Steak House, Rita's Restaurant available. Car Service, Concierge Service, Laundry, Spa, Golf and much more available. Cross Street Lincoln Drive And Tatum Blvd.